The Malpelo Patrol Project seeks to re-establish a regular patrol regime in Malpelo and thereby preserve its spectacular ecosystem. Malpelo remains one of the world’s richest marine environments largely due to the Colombian Government’s strict approach to illegal fishing, with penalties of up to 18 years imprisonment and $1 million fines for both those caught illegally fishing in Malpelo as well as the vessel proprietors. 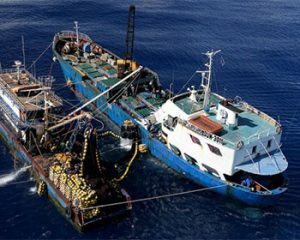 The evidentiary requirements to secure convictions are particularly favourable to the prosecution as all that needs to be established is that a fishing vessel entered the marine reserve, without needing to prove that they were also fishing. Unfortunately, the patrol boats were retired from service in 2014 and the Colombian government does not have the resources to replace these vessels. In the absence of regular patrols, illegal fishing has risen sharply over the past 2 years. Fishing vessels used as “motherships” similar to those found at Malpelo. Malpelo’s vertical limestone cliffs constitute the principal challenge to conducting regular patrols. The island’s geology makes it impossible to pull small and nimble patrol vessels onto the safety of dry land in the case of adverse weather conditions. Therefore, patrols can only be conducted either by ocean-going motor vessels, with sizeable engines and extremely high capital and maintenance costs; or using a mother boat from which a smaller vessel can be launched and lifted to safety. Our operation will be based on the latter method, using a 55ft catamaran as a mother vessel from which we will launch a 15ft semi-rigid Milpro zodiac used by armed coast guard personnel for fast interceptions. The Colombian constitution mandates that any suspect detained by law enforcement authorities to face prosecution must be presented before a judge within 36 hours of their arrest. As Malpelo is situated around 500km from the nearest Colombian city, a voyage that takes on average 35-40 hours on a standard vessel, suspects would have to immediately be taken back to land once detained, and cannot be held on the island waiting to be transferred by another boat. Consequently, during the first stage of our operation, we will be unable to detain illegal fishermen for prosecution, as this would require halting our surveillance operation for 4 days while we transport the detained suspects back to port, thus leaving the island unprotected. 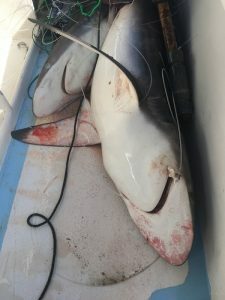 Rather, our operation will focus on gathering evidence and confiscating all fishing equipment and destroying any fish we find onboard. The average cost of this equipment, including thousands of hooks, several kilometres of long-line and hundreds of plastic floating markers would usually add up to well over $10,000. 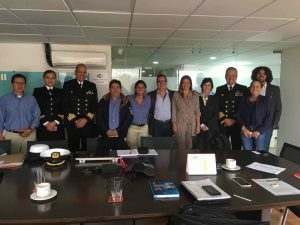 Combined with the destruction of any fish already on-board and the wasted fuel used for the 1000-1500km round trip from Ecuador and Costa Rica to Malpelo, the cost imposed by this operation should act as a significant deterrent. Our ultra light patrol vessels (less than 400kgs) will be equipped with sufficiently powerful engines (80hp) to ensure they are capable of comfortably outrunning the fishing vessels operating in Malpelo. The armed coast guards manning our patrol vessels will be authorised to fire warning shots and/or open fire to disable the poaching vessel’s engines, thus ensuring an extremely high rate of apprehensions. 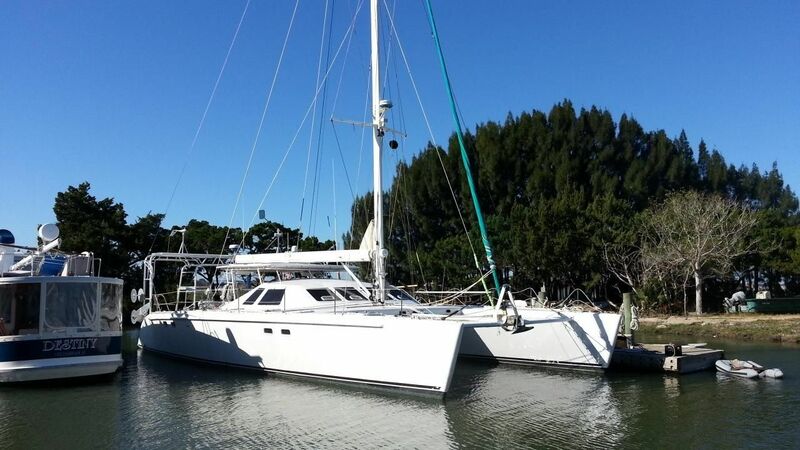 We have purchased our main surveillance vessel and headquarters for the operation, the 55ft Lagoon 550 catamaran Silky, which we have kitted out with a 3 KW solar and wind power generation system and a 48 Nautical Mile Furuno radar. 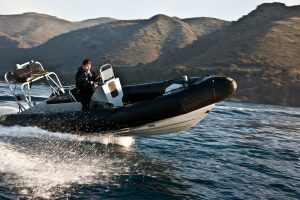 We have also bought our main interception vessel, the ultra lightweight Milpro Sea Rib Military Navy 550, which has been fitted with 2 Mercury 60HP enabling the vessel to reach speeds exceeding 50 MpH. We have also secured sufficient recurring donations to pay for the salaries of a project manager in Colombia as well as a full time crew consisting of a boat captain, an engineer and deck hand. The Colombian Government have also committed to providing our operation with rangers and coast guard personnel to conduct the actual interceptions and enforcement, as well as the fuel for the operation. All that we now require is some additional equipment to maximise the effectiveness of our operation, as well as funding for our educational outreach program and maintenance budget.